Sad news today, not just for scifi fans, but for fans of great actors: John Hurt has reportedly died at the age of 77. 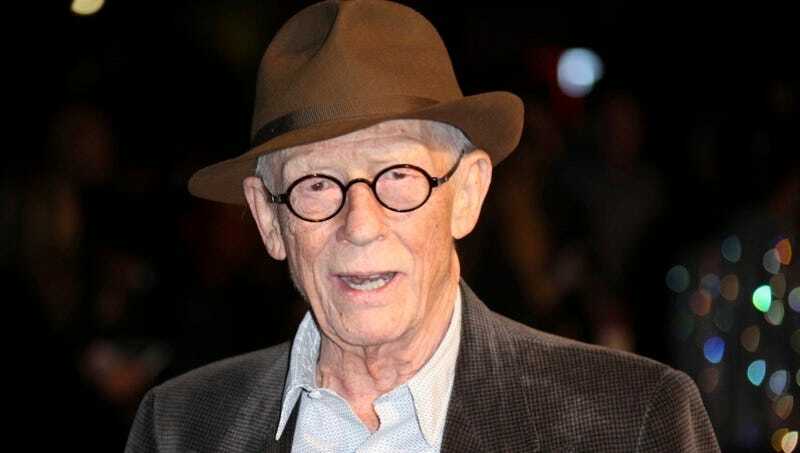 His vast resume encompassed over 50 years, and included works like The Elephant Man, 1984, Alien, Harry Potter and the Sorcerer’s Stone, Hellboy, Doctor Who, and V for Vendetta, to name just a handful. While it’s difficult to single out one moment in such a long and storied career, the chest-burster scene in Alien is certainly one of his most iconic. After an uncomfortably close encounter with a face-hugger, Hurt’s character, Kane, sits down to eat with the rest of the Nostromo crew. For a brief time, things are almost back to normal... until Kane’s chest starts heaving. The script, legendarily, just said “This thing emerges,” so the rest of the cast was nearly as shocked as the audience by what happens next—and the end result is one of the scariest (and goriest, and most unforgettable) movie moments ever. Various sources reported the news, including The Hollywood Reporter and multiple papers in Hurt’s native England.